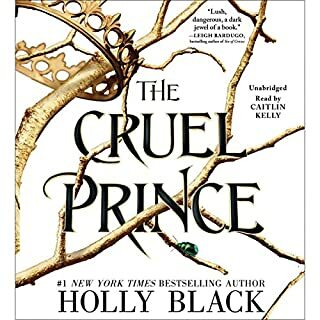 For no good reason, I kept skipping Holly Black, despite the fact that I'd had her recommended to me. What a loss. The story is compelling. Even the good characters are kind of bad. No one is perfect, and even the worst people are somewhat likable. It's not precisely that you can't figure out what's going to happen before it does, but there are still so many good plot twists that you're always left wanting more. There is some angst, which is ordinarily annoying, but here is understandable and entirely tolerable. These kids have the right to whine, and despite a love story element, there is no ridiculous "OMG, I'm 16 and have known you for 3 seconds, but I'll love you forever and ever and life would be meaningless without you" junk that can make YAs unreadable. The narration is excellent too. There's nothing in particular to single out and say, this is why this narration is great; it just is. There's nothing negative to say about the narration except perhaps that he doesn't do a lot of voices, so occasionally it can be somewhat difficult to determine who's talking. It's better though that he doesn't, because it keeps characters from sounding weird or being distracting in the story. 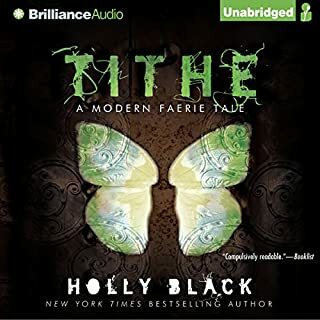 From the startling murder at the beginning of the book, I couldn't stop listening to Holly Black's sequel to White Cat, and finished listening to it in two quick sittings. The thing I was most surprised about by Red Glove is how much I enjoyed hanging out with Cassel and his pals as he drags them into his cons and tries to protect them in his own broken way. 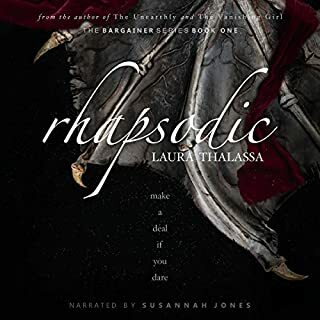 There are scenes in the book between him, Sam, Danica, and Lila that just make you feel like your part of the gang, and you hope against all the odds that everything will turn out alright for them. Jesse Eisenberg narration is excellent. Some might say he sounds flat, but they're missing the point. He sounds exactly like Cassel should, holding all the cards tight against his chest, never giving away too much with inflection or voices. It's more than a satisfying sequel to the first book in the series - the cons are better, it's sexier and more dangerous, and best of all the sense of community with Cassel and his friends is deeper. In short, it feels like there's much more at stake, and I became even more invested in this series - so much so, I'm pretty sure I enjoyed it even more than White Cat. Jessie Eisenberg is amazing as a voice actor on this series! I actively seek him out for audiobooks now. 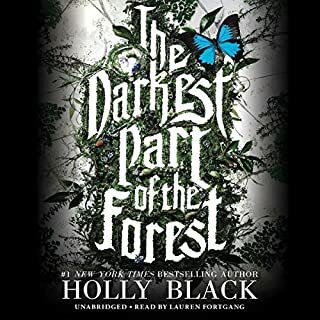 Holly Black continues to amaze me with her ability to capture the voice of the young and yet remain true to the very adult world young adults find themselves at the mercy of. 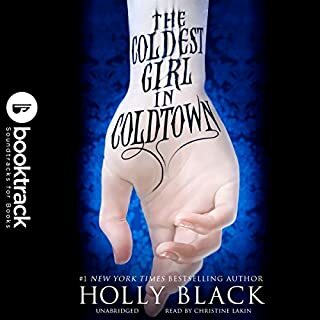 If you haven't listened to "The Coldest Girl in Coldtown", I highly recommend it after you finish this trilogy. I’ve always been fairly picky about my urban fantasy but I picked up WHITE CAT last year when I was looking for an audiobook to borrow from my library and it sealed the deal when I found out that Jesse Eisenberg narrates! 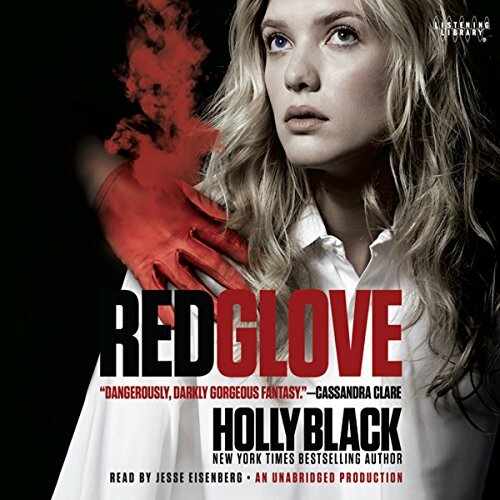 I loved the book but definitely wanted to continue on audio so it took me a while to finally read RED GLOVE because my library never got it in! I gave in and used an Audible credit because I was in the perfect mood to fall back into this world and I’m so glad I picked it back up! The thing I love the most about these books is really just the feel. Like I said, I’m not a huge urban fantasy fan but I really love how the magic system and curse working just fits so perfectly into the normal world, like that’s the way life really is. (Also loved the line in this book about alternate universes and how somewhere there’s a universe where this magic doesn’t exist. Hee! Ours!!!) The tone of the book is just excellent. I love Cassel’s sarcasm, the sneakiness of his family, and the sliminess of the crime families. Mob + magic is a great combination and I love the way they blend here! I really enjoy the sort of gray area that is pervasive throughout the book. There is obvious bad but Cassel is always somewhere sort of in the middle. His family isn’t full of bad people but they don’t always do good things and when you’re a worker, it’s hard not to get mixed up in the underbelly of society with crimelords bidding on your talents. I really liked witnessing Cassel’s actions and decisions as he keeps all of this in mind. He errs on the side of good but I just love that little gray area that makes it okay to root for a con artist, bookie, and liar. Like the first book, I was never totally blown away but my interest was always held! There’s just something about this series that has me hooked. It doesn’t hold the most twists out there but there are definitely some good surprises and it was great to be kept guessing! i love listening to Jessie Eisenberg. The plot of this one was rather blah mostly because it didn't seem to matter much to Cassel. The narration is great and I'll finish the series but I wasn't compelled to listen constantly. Really nice work. So many twists that I was absolutely drawn to the story and stopped studying this afternoon! Jesse speaks fast as usual but also clear enough to follow up. Thanks for presenting such a nice work. Pretty good follow up to the first book. I liked the first story a lot, and also enjoyed this book. I'm not a huge fan of the narration, but I will listen to all three, so nothing really bad, just personal preference. The characters so get a bit more expansion, but I still think there could be more, hopefully in the third book. I didn't think the ending was as good as the first, but that crackingly good, so tough task. Overall good YA I think.